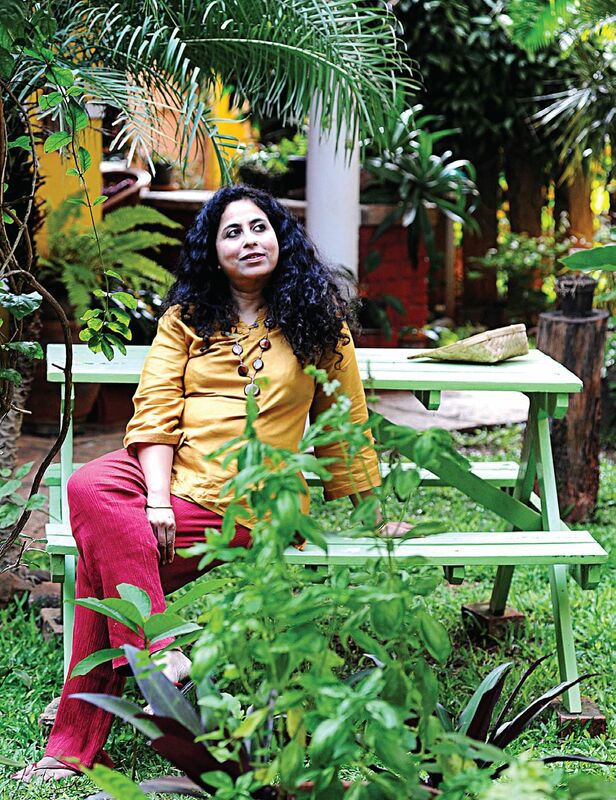 Celebrated writer Anita Nair is starting a creative writing programme, Anita’s Attic, for aspiring authors in Bangalore. Any aspiring writer will tell you just how hard it is sometimes to get past that blank piece of paper or screen. How common it is to be assailed by self doubts and even easier to give in to them. Given the amount of discipline, hard work and patience it demands, writing is far from easy. What most writers then wish for, though only a lucky few manage to find, is a mentor to show them the way and help them hone their craft. It is primarily to address such concerns and help budding writers “find their voice” that well-known novelist-poet-writer Anita Nair is starting a creative writing mentorship programme, Anita’s Attic, from January next year. Starting January 24, the 12-week programme will be spread over 12 five-hour classes every Saturday at Bagalur Main Road in Bangalore. This endeavour is supported by *conditionsapply, a Bangalore-based digital advertising agency. “There are quite a few creative writing courses around but aren’t really about helping people find their voice and nurture it. It is mostly formulaic techniques. It [Anita’s Attic] seemed like a good idea because I was thinking of my own journey as an author and how much I had to flounder around before I knew what I was doing and how I was going to write,” says Anita. “I also think it is very unreal when you have a back-to-back two-week programme. A writer doesn’t have time to go back and look at their own work and think about it. It is just writing under pressure which is not how you’d really want to write. So I wanted to build in that much of time to actually write something substantial that would bring out the best in that writer,” she adds. What’s more, unlike most creative writing courses that offer just fiction and poetry segments, Anita’s Attic offers courses across eight different modules—novels, poetry, essays, travalogue, children’s fiction, screenplay, short stories and content writing. “I looked at everything that I can do except content writing, which one of my associates Biju Ebenezer, who is also part of *conditionsapply, is going to work on.” The participants will also interact with visiting writers, publishers and international literary agents to get an idea about the publishing industry and what “editors look for in writers”. All those with a flair for words and storytelling, and above 18, can apply to the course of their choice at anitasattic.com. However, one might want to hurry since Anita would be taking in only a handful of mentees in total. “I have decided to take not more than 10-12 students at a time. In a year I would conduct only two such sessions. I have asked people to send in a sample of their work because I need to see if this is somebody whose talents I am equipped to mentor,” explains Anita. A good grasp of English grammar and an ability to write honestly are essential to be a good writer, feels Anita. “If you have somebody with talent, and you know that they just need work with their crafting, it is an amazing experience of chiselling out something beautiful from what was hidden,” she says. “Make the time to write” and “write like yourself”, she offers as advice to aspiring writers. A prolific writer who has written five bestselling novels, Anita has also published a collection of poems Malabar Mind, a collection of essays Goodnight & God Bless, written two plays and the screenplay for the movie adaptation of her novel Lessons in Forgetting which won the National Film Award in 2013. She was awarded the Central Sahitya Akademi award for her contribution to Children’s Literature in 2013. Her new novel Idris (2014) has been shortlisted for the Hindu Prize for Fiction 2014.